9h56 hours of ATARI and AMIGA music ! Press the key "r" to skip StSound text introduction in the emulator window. Of course that delmo works perfectly on real GBA hardware! Jochen Hippel (Madmax/TEX) He mades almost all the tunes on ATARI. Even if some of them are C64 convert, he really made theses tunes running on the YM2149 soundchip. Better is to use a real hardware. If you don't have GBA dev system, you can run it using PC emulators. (Better use Boycott-Advance, switching the "Auto framekip" option ON). The demo starts with a randomly choosen song. You can press UP and DOWN to move in the song list, and A-Button to play a selected song. B-Button is used to skip to the next song. (Depending of the current playlist mode). The SELECT Button change playlist mode between "SHUFFLE" (tunes are randomly ordered) or "SEQUENT." (Tunes are sequentially ordered). START Button change the song lenght mode between "COMPLETE" (The tune is played until the end) and "20 SEC" (Tune is finished after 20 seconds). (START and SELECT have to be pressed twice in order to change the current mode). I work in programming job since a while and I often do PC-DirectX stuff. 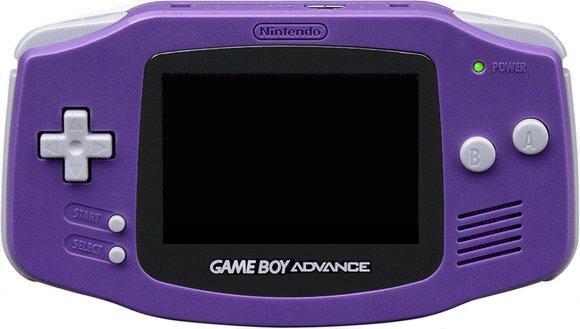 Sometimes I like to write some unusefull demos on little systems such as GBA. This demo is written in C language. Believe me or not there is *no* assembly code ! (even for the sound handler, the emulator engine or the rasters !). The YM2149 and PAULA emulators are simple port of my ST-Sound program running on PC. The YM2149 engine runs at 15.3Khz, and the AMIGA paula engine runs at 22Khz. (You can press both L and R buttons in order to see the CPU load). Please note the shuffle mode is a *real* one. That is, ALL tunes are played (no tune is played two times). If you let the shuffle mode, you get real 9 hours and 56 minutes of no repeat sound !